The name of "LANCASTER" has been creating superior home furnishings since 1945. Now under the name of Simon Lancaster Interiors we continue to deliver the same superior standard of products and service. Icon One Blinds and AwningsWe can supply blinds suitable for all budgets, In a fantastic selection of colours and designs. Icon Two Hand-sewn Made-to-measure CurtainsDealing with many manufactures of quality fabrics you are sure to find the curtain that fits your syle. Icon Three Top Quality ProductsOur blinds, shutters and curtains are of the highest quality. View examples of our work in the What We Do pages. Icon Four Upholstery and Re-coveringOur Upholstery Department has plenty of patterns in heavy duty flame proofed fabrics and leathers. No job is too big or too small. 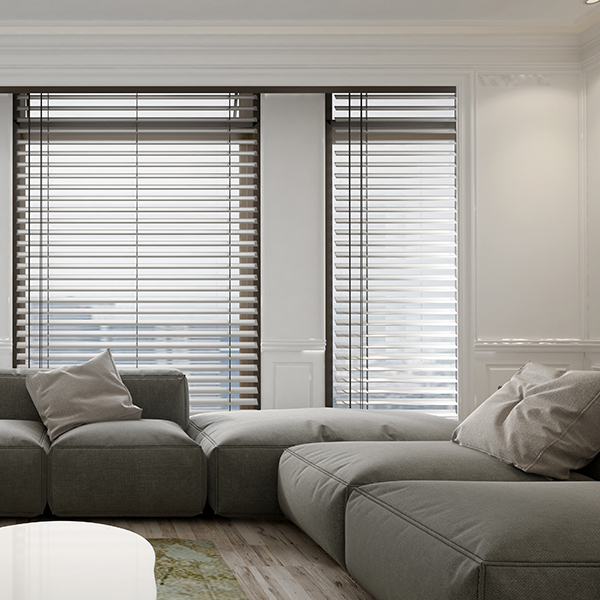 Icon Five Interior ShuttersLuxaflex Shutters are sure to enhance your interior. Stunning to look at, superbly practical and durable too. We measure, advise and install. Our knowledgeable and friendly staff will be only too pleased to assist you in choosing what's right for your home. Whether it's picking Blinds or Awnings from our fantastic selection, deciding colours and fabrics for your Curtains, supplying and fitting fine Carpets, re-covering your three piece suite, or giving your whole home a professional make-over, we are here to help. I just wanted to drop a note to say how pleased we are with the blinds that you have supplied and fitted. The quality and service are both first class including the fitting by Neil. Once again many thanks for your help and I would not hesitate in recommending your products to any prospective customers.